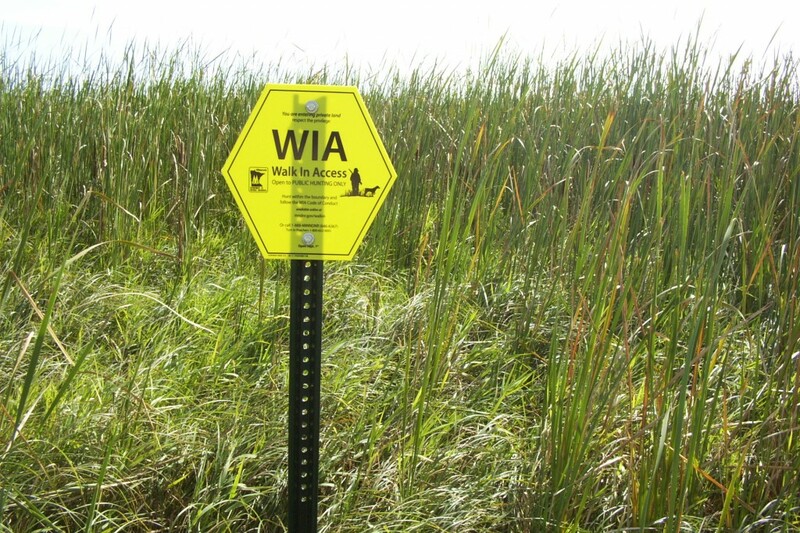 The Board of Water and Soil Resources along with the Minnesota Department of Natural Resources has introduced a new hunting program in Southwestern Minnesota – Walk-In Access Program. The Brown Soil & Water Conservation District is now seeking landowners with land enrolled in State and/or Federal conservation programs (CREP, CRP, RIM, WRP, EWRP) in Brown County who would be willing to open their land to public hunting. Landowners who are approved for the program will receive an annual payment dependent upon the amount of acres enrolled, duration of enrollment, and location of land. The Minnesota Department of Natural Resources will be responsible for any enforcement action. The program will provide signage and boundaries on the land for hunters. Brown County is currently home to 5 Walk-In Access hunting sites. For maps of all sites, see the DNR downloadable atlas below.